Gorn is the supreme ruler of the lands of Zeth on the planet Maldec. 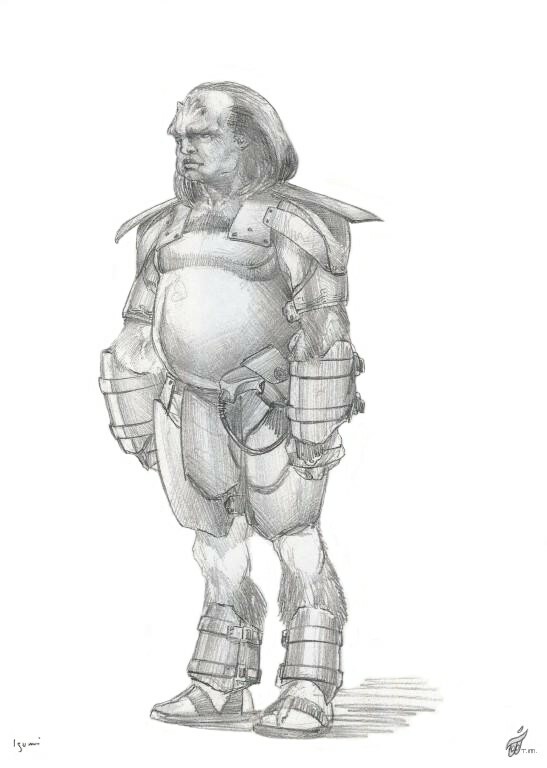 This Gorn Character Sketch reveals his character as the most tyrant in nature of three dominating military rulers, and he does not see eye-to-eye with the other two. He is humanoid, violet-skinned and very hairy. Maldec is now just an asteroid belt circling in the orbit of a planet between Mars and Jupiter in our solar system. Gorn is the most tyrant militaristic ruler of the three rulers on the ancient planet Maldec. Gorn and two other leaders, Trebor and Yulan, ruled the entire planet of Maldec before it was blown apart to become the asteroid belt that now circles in the orbit of a planet between Mars and Jupiter in our solar system. Scientists today have several theories as to what caused the mysterious asteroid belt to exist in space, orbiting the sun like a planet. Oddly enough, the distance between Mars and Jupiter is roughly twice the distance than the distance between the other planets in our solar system. The destruction of this world, and how this came about is one of the many mysteries revealed in The Parallel Time Trilogy book one titled The Emerald Doorway (Three Mystic Crystals) by R. Scott Lemriel. Those past citizens of Maldec, many past dwellers from Earth’s unknown ancient history, some beings from other worlds, and from parallel dimensions are now living on Earth today. They are heading up our planet’s destiny – a very disastrous direction. Perhaps, your reading of this trilogy with many others will help bring about the positive change that is now underway to transform planet Earth and its people in time to alter its destructive destiny forever. You can go on the journey to find out more about this power-mad being, and discover how Sen Dar came to his world in search of a hidden half of The Ancient One’s sacred map. 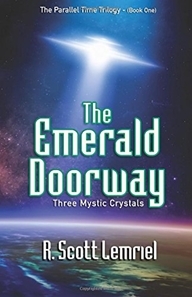 Explore The Emerald Doorway (Three Mystic Crystals) book one of The Parallel Time Trilogy series and recover very significant aspects of your own deliberately hidden history of Earth and our solar system. Note: When you are ready, explore how Sen Dar’s subtle tyrant influence upon Gorn changed many things by clicking on the provided link Gorn Chapter 20 Excerpt link shown above this paragraph. You can also click on the provided link that goes directly to the BOOK menu page. There you can view the front and back covers of both books and obtain the trade paperback or e-book downloads for various e-book readers at the trusted direct online retailer links provided.